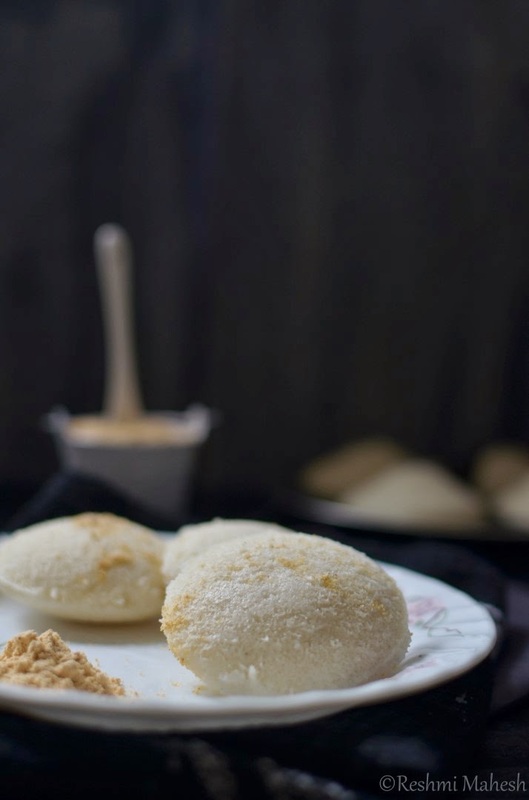 Idlis with sambar and chutney is a traditional breakfast that you will find in south Indian houses. They are made by steaming a batter of fermented rice and urad dal. 1. Wash the rice and urud. 2. Soak the rice with fenugreek and urud in different vessels with sufficient water over night or for min 4 hours. 3. Grind the urud first with the little soaked water to smooth paste.Add more water if needed. The end product should be a thick. So add water only if really needed. Transfer it to a big vessel. 4. Drain the water from the rice. Grind the rice and fenugreek using the water from the soaked urad dal. You can use plain water too. 5. Grind it to smooth but slightly coarse paste with minimal water. 6. Mix this with the urad paste. Add salt and mix it with clean hands for some time. The batter should be medium thick. 7. 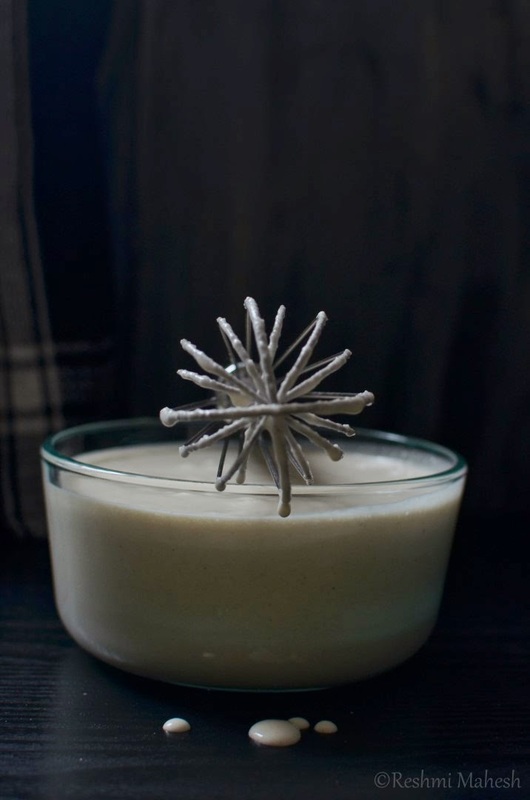 Set it on a warm place to ferment overnight. When the batter is fermented it will rise by the next day morning. 1. Mix the batter nicely with the ladle. If batter is too thick add little water. Check for salt. 2. Pour water into the steamer and keep it to steam. Oil the idli tray.I prefer using coconut oil. Pour about 3/4 full of batter into the tray and keep it on heat and steam it for 10 minutes on medium heat. 3. By this time the idlis will be done.To check them insert a stick/back of spoon and if it comes out clean, remove the tray from heat. Using a spoon remove the idlis from the idli tray. 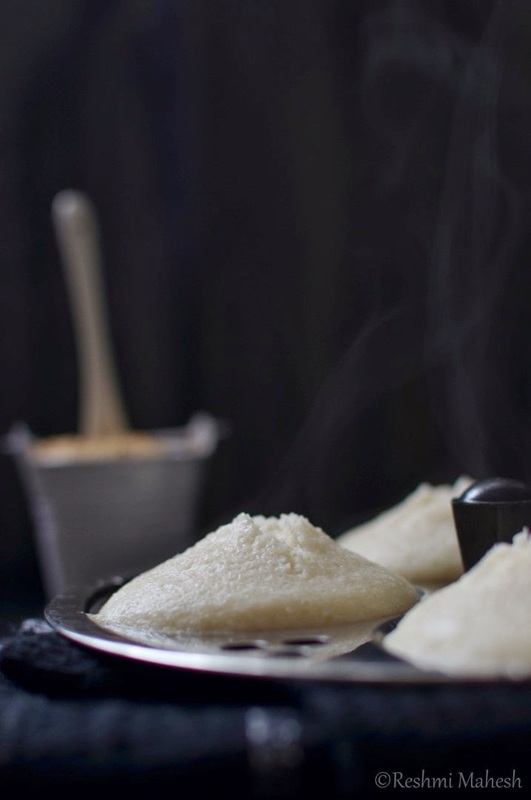 Pour more batter into the vessel and steam if making more idlis.Serve with chutney powder/chuney or sambar. beautiful post and such lovely clicks. Lovely pics. 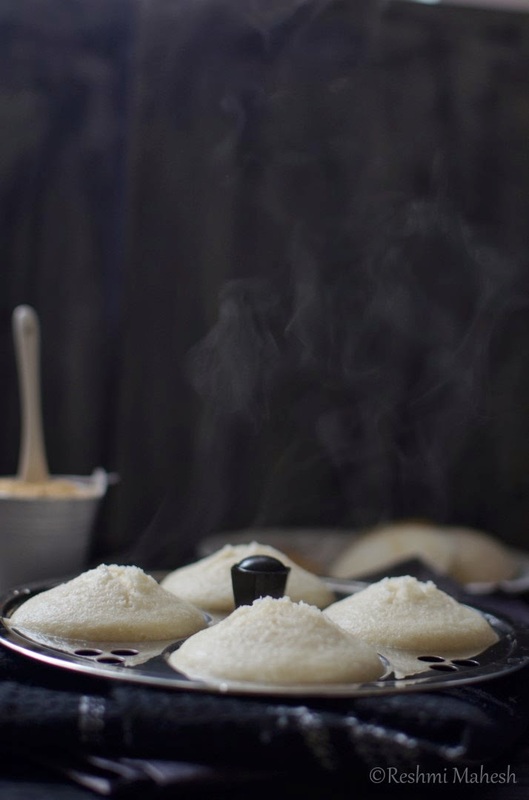 Love how the steam is coming off the idlis. OMG.. Looks absolutely beautiful and delicious.. love your photography! !